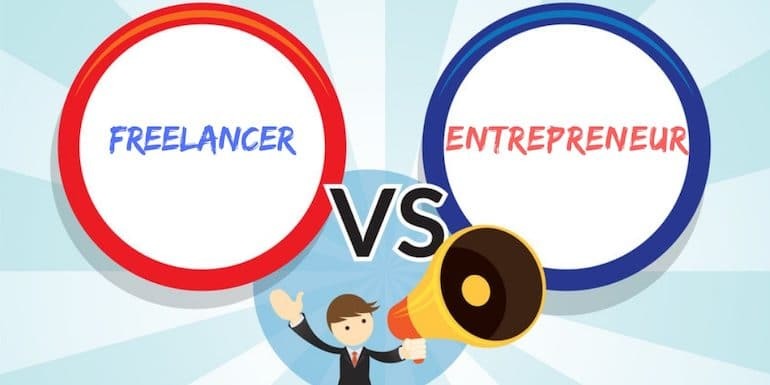 You are here: Home / Freelancing / Freelancers Vs Entrepreneurs – Why I Prefer to be a Freelancer? There is a vast difference between a freelancer and an entrepreneur. In fact, from where I see it, there is no similarity between freelancing and entrepreneurship. Freelancer is more focus on freedom than building a growing business. He or she is more interested in time freedom (When to work), place freedom (where to work) and client freedom (whom to work with) than to set up a business for more growth. You can read about the core Reasons To Freelance here. Entrepreneurs, on the other hand, are more focused on building a team and business that works for them. The focus is not to work in the business but rather on the business. As an example, Jeff Bezos doesn’t handle the technical aspects of the Amazon website or Mark Zuckerberg doesn’t debug an issue on the Facebook site anymore. 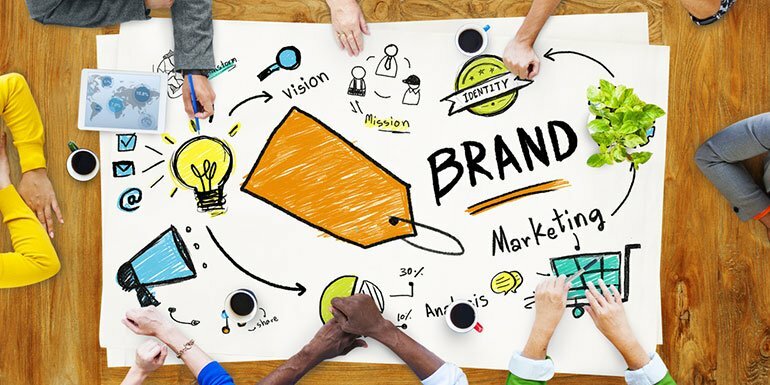 They have hired a team to take care of those aspects of the business. They work on the business than working day in and day out on anything related to the working of the business. Being a freelancer for more than a decade now, I always get the question, why I don’t hire someone to work for me and why I prefer to continue doing the freelancing. And the common reasons are: When I am not working, I don’t earn money, but then it is something that I can always consider to scale up my freelancing services business. Let me share why I prefer to be a freelancer and not move on to become an entrepreneur. India is hot, and most of the year the temperature is on the higher side. You seldom get temperature under 20 degree. No matter which part of India you are in, it is hot and humid for sure. Traffic is high in most parts of India though it is quite less in Surat as compared to Kolkata. Working from the comfort of my home is the best thing I can say about being a freelancer. I love working from my house, and though I have set up an office in Surat, I prefer doing most of my early morning and late night tasks from the comfort of my home. I am a developer, and I can’t unlearn being a programmer. If I happen to see code not done the way it should be, I get itchy and like to fix it as soon as I possibly can. Often it has so happened client hasn’t paid me for it or at times without even clients knowing I correct them. It had happened with the outsourcing model I follow as well when we hired developers in a company in Kolkata. I try not to look at the code if I am outsourcing, but if I do, I make sure it is as I need before making it live for clients. Again, it is something I know I need to work on, but it is something beyond my control. I am not able to accept the subpar code. When developers are working for you, you tend to hire both highly experienced as well as freshers. At times, you have to accept subpar output, but even if I do accept at the point of delivery, it is always bugging my mind. So, I have to be all set to for code reviews for developers I hire which may not be very fruitful. When hiring developers, we tend to work in a technology where one may find better developers at a reasonable price. It means one should focus on a broad niche than being a small niche, but I like to be a big fish in a tiny pond rather than being a tiny little fish in a bigger pond. I experiment with new technologies, but if I am hiring someone, it is tough to get them to move on to a new technology which may not be very popular at the time I am experimenting. On top of that, I also see that people are not very keen to make a move. Like for example, a WordPress developer won’t move to XenForo because WP is a growing CMS. He may see more opportunity as a WP developer than an XF developer when he searches for job opportunities. It is the best point and is the sole reason to freelance. I love to debug and find the root cause of the issue. The very nature of trying to dig deep and getting to the root cause also helps me with my investments in the equity markets. Because of my love to be a programmer, I don’t want to be hiring developers and be a manager to them. It is the main reason why I don’t hire full-time developers. Outsourcing is fine, getting the job done and you go your way, and I am on my way. Having a full-time developer day in and day out for an elongated period is something I can’t take it. As of now, I sense, I can’t take it. In the month of Ramzan, I prefer working at night. Similarly, when my family needs me, I love to be with them. The aim of each of us to step on this planet earth isn’t to keep working. You need to be doing things that aren’t only financially in nature. Though my kids think I am working all the time and it is because when they see me, I am in front of the computer for sure but then being there mentally is what I meant. I like to be a freelancer than to be an entrepreneur. Also, I have hired an editor for IMTips as well, and he is doing very well for me, but still I am not convinced I want to hire a developer and offload my client works to them. I may be wrong, but that is not the plan in 2019.